← Care for Some J.CO Donuts? 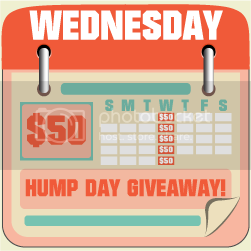 Join Hump Day $50 Giveaway: Like Us on Facebook! On the first mandatory entry, please write Delight My Appetite referred you. You must complete the first 2 tasks before the others are enabled. This entry was posted in Facebook Page Likes, Hump Day $50 Giveaway. Bookmark the permalink.